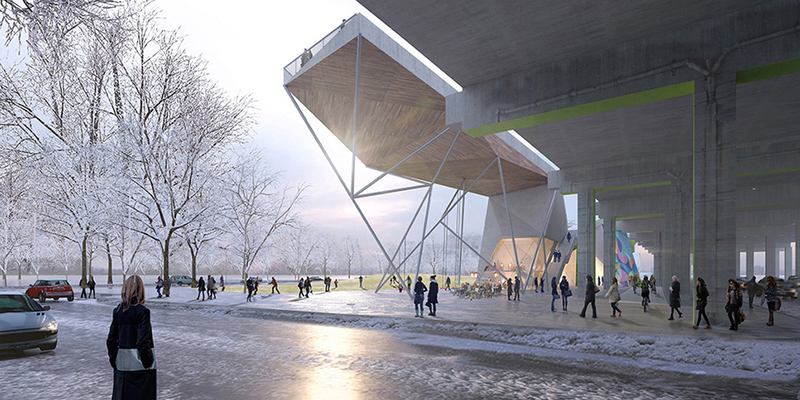 Several renowned North American firms, including New York-based practices Snøhetta and wHY Architecture, are among the ten finalists competing in an international competition to design two new waterfront parks in Toronto. 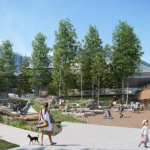 Commissioned by Waterfront Toronto and the City of Toronto Parks, Forestry and Recreation, the projects will, when complete, add to the city’s growing collection of green spaces along its harbor. 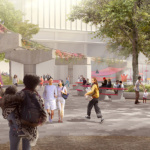 Over 40 teams submitted design proposals for the York Street and Rees Street Parks, both located at the heart of the city’s waterfront. 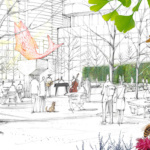 The design brief for York Street Park, a two-acre piece of land situated between the southern part of Toronto’s Financial District and the York Quay residential neighborhood, called for amenities like event and green space, a water feature, public art, an architectural pavilion, and accommodation for dogs. 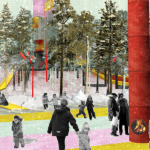 Five finalists were chosen. 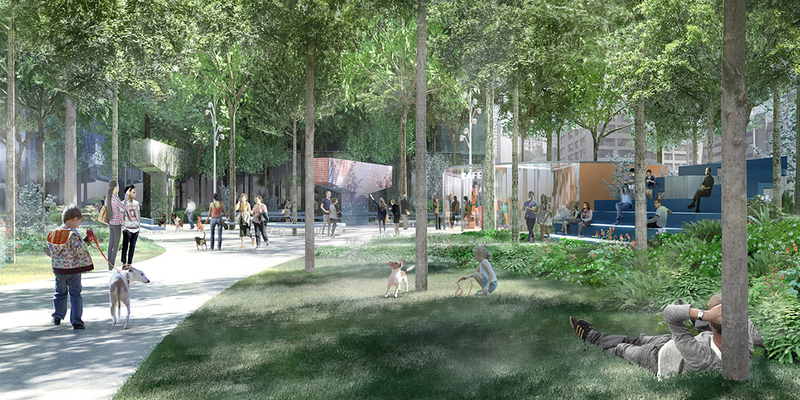 In ‘Park Vert’, Agency Landscape + Planning partnered with DAVID RUBIN Land Collective to create a green oasis for locals inspired by Toronto’s urban forest. 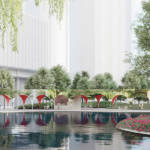 The design is multi-layered and includes a canopy to provide summer shade, a light walkway to create an elevated experience while walking through the park, and a ‘forest floor’ that incorporates a water fountain and different natural materials. 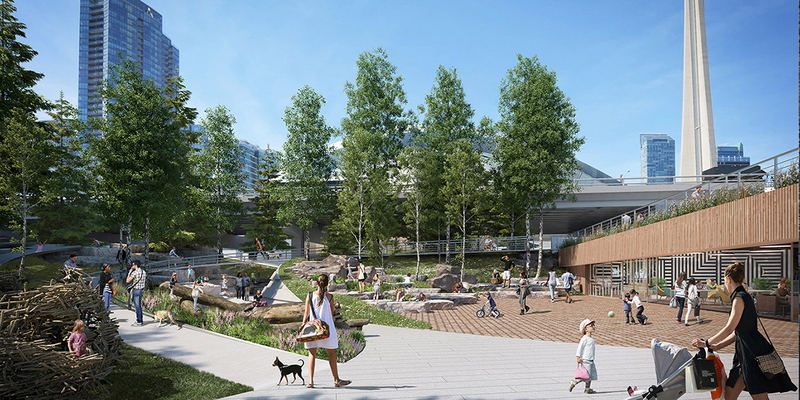 Stephen Stimson Associates Landscape Architects and MacLennan Jaunkalns Miller Architects collaborated on ‘York Forest’, which features a massive canopy of vegetation housing a variety of human activities and natural systems. 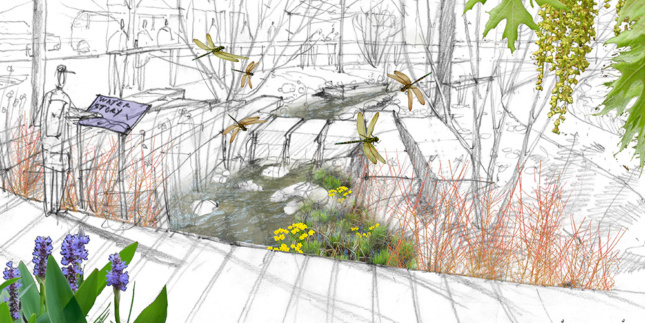 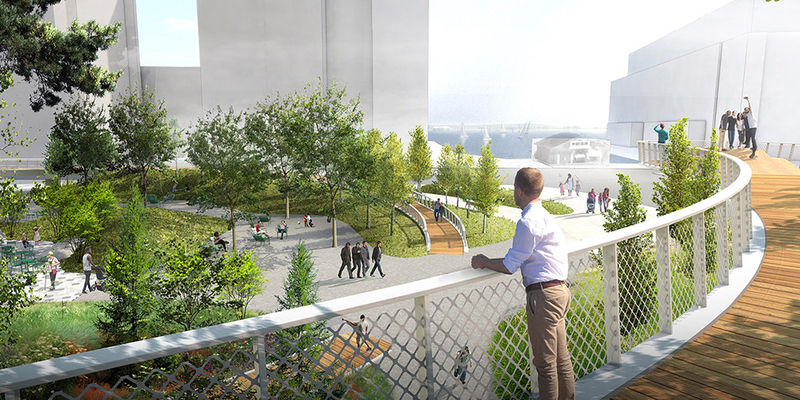 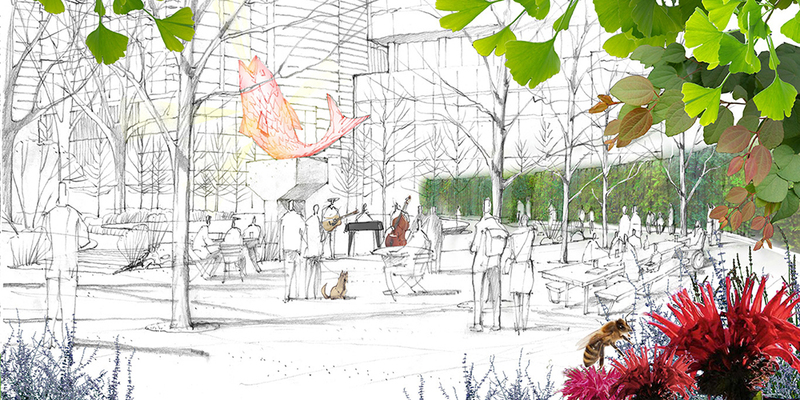 In the renderings, people, plants, and animals co-exist in an urban ecosystem. 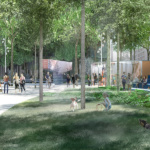 Located a few minutes east of the site for York Street Park, Rees Street Park is a 2.3-acre area set between Rogers Centre and Queens Quay West. 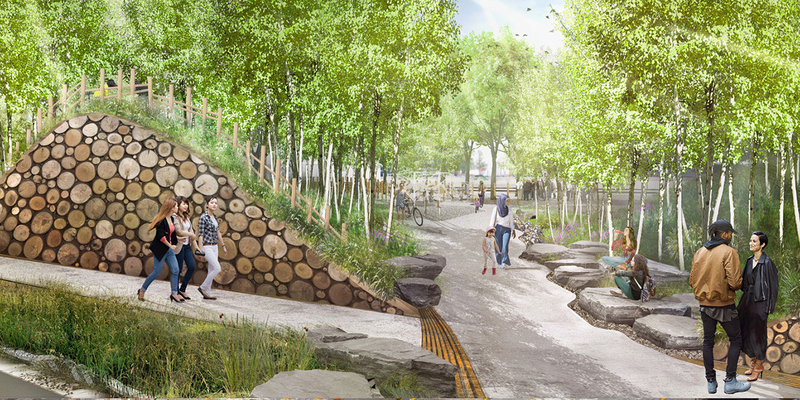 Its brief asked entrants to design areas of play for all ages and abilities, as well as spaces for a market and other urban activities. 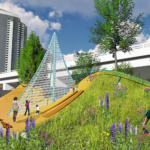 In Stoss Landscape Urbanism and DTAH’s proposal titled ‘Rees Landing’, the park becomes a “testing ground for new forms of civic and ecological expression.” The architects make use of topographic moves to create an array of contrasting textures, playing with people’s experiences in the site. 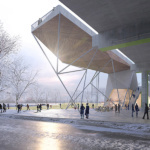 In ‘The NEST’, Snøhetta partnered with PMA Landscape Architects to create an ‘experimental stage’ at Rees Street Park that can be used year-round. 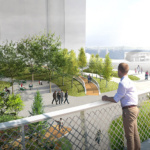 Amenities include the Wall Crawl, the Alvar Mist, the Hammock Grove, the Backyard BBQ, and the Play Nest. 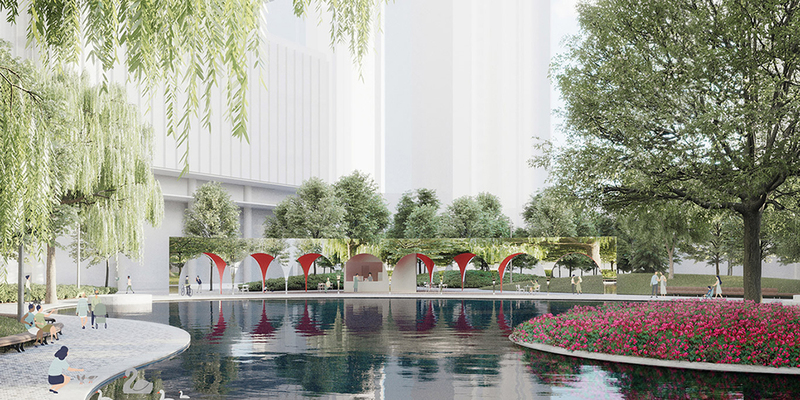 The design also features retractable elements such as a glass wall that provides a seamless indoor-outdoor transition. 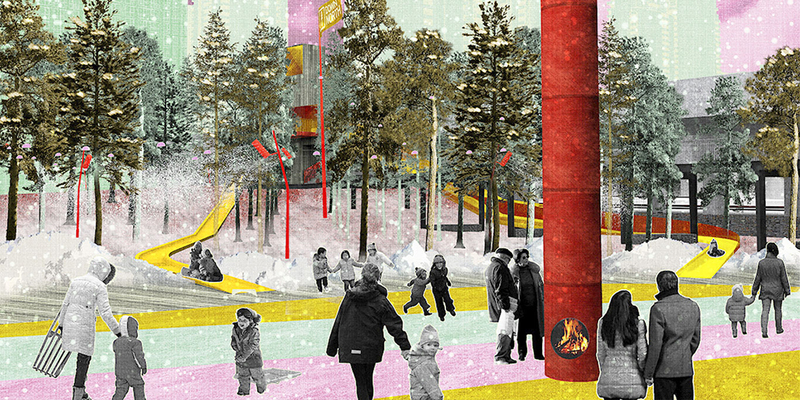 Besides these innovative designs, the competition’s public engagement process is noteworthy. 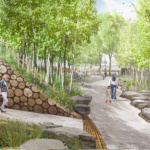 A jury consisting of industry leaders will take into account feedback from local residents when determining the two winning design teams. 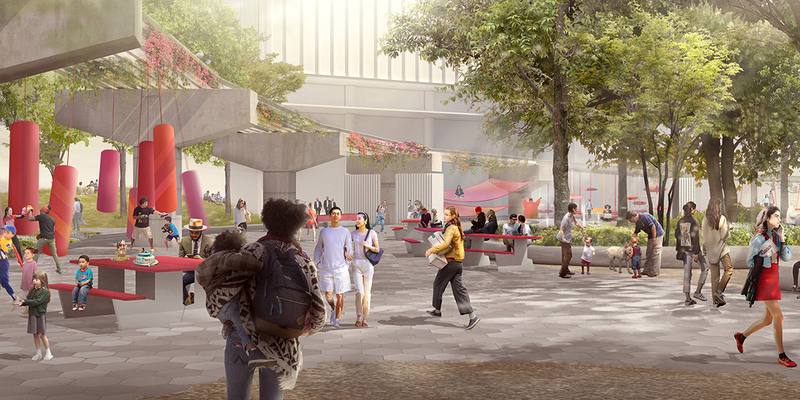 You can view the proposals and survey the designs here. 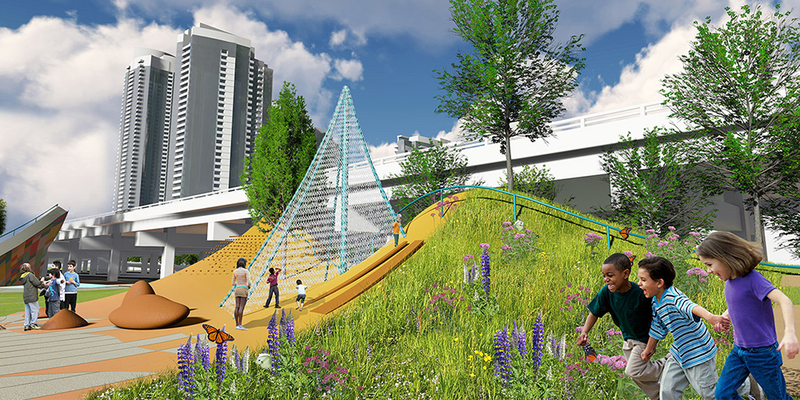 Construction of York Street Park is expected to start in 2019, while work on Rees Street Park will commence in 2020.